Learn to play the piano with chords – it' easy and it's fun! Learn to Play Piano with Chords! One reason why the piano is such a popular instrument is the fact that it can be played as a solo instrument without any accompaniment and still create full arrangements and complete pieces of music. While the accompaniment is played by the left hand, the melody is played by the right hand. Almost no other instrument has wealth of harmonic possibilities. Other instruments, however, are sometimes easier to integrate into an ensemble, because you can have many of the same ones playing different voices whereas one piano is usually enough in any group of instruments. You also need to have a piano in the place you want to play, nobody can just carry his piano around like a violin or a guitar. There are many piano students who learn a second instrument just to be able to play in an orchestra or school ensemble. Despite these unique qualities of the piano it is of course wonderful to play with a group of fellow musicians or friends. If you have the opportunity to take part in any kind of ensemble, do it! Be it a chamber music ensemble, a rock band, a jazz ensemble, an orchestra, a duet with a friend or family member, a singer to accompany, a church service or a choir – don’t hesitate to play with others. You might think that your skills are not good enough, or you might be afraid to make mistakes or show weaknesses at the instrument. Of course it could end up being an awkward experience, but if the chemistry between you and the others isn’t right or your skills are too far apart, you can still go somewhere else to share your playing. But usually your fellow musicians will be able to tune into your way of playing (that’s what playing together is all about!) or give you valuable feedback. Playing in a group will let you progress a lot faster than playing alone. You will have very challenges when playing with others and you will most probably love the precious time you spend together. And – best of all – you will make friends, sometimes for a lifetime! If you don’t have access to a room with a piano, inform yourself about keyboards or digital pianos. They can be a good alternative and depending on the style of music give you many additional sounds to choose from. There is just one thing you want to keep in mind when playing with others: because the piano is so rich in harmonies and can play multiple tones at a time, it can easily occupy all the musical space in any composition. 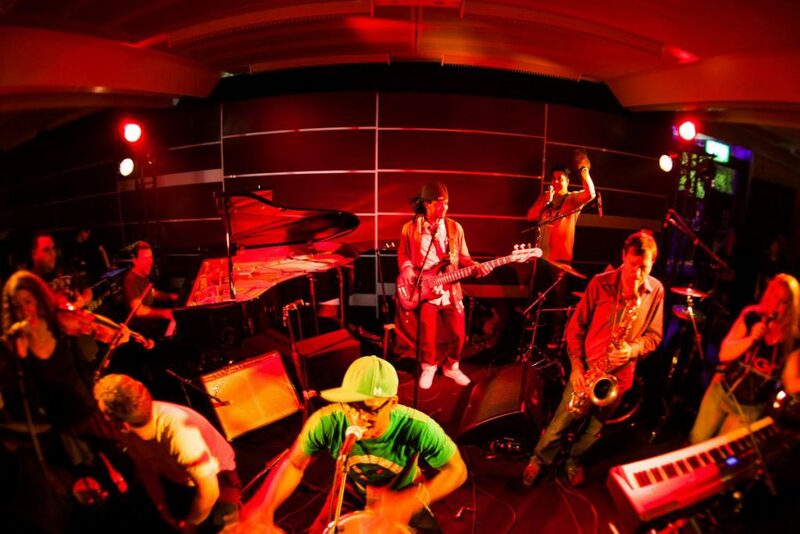 If you are playing without a written arrangement, make sure that the other musicians and instruments have still enough space to express themselves. Don’t play too much in the bass register if you have a bass player. Keep your chords moderate if you play with a guitar. Let flutes, brass and violins play melodies in the higher register. You have the complete range to chose from whereas the other instruments mostly haven’t. Less is often more, so leave enough space in your playing for the others and you will have a great time together! 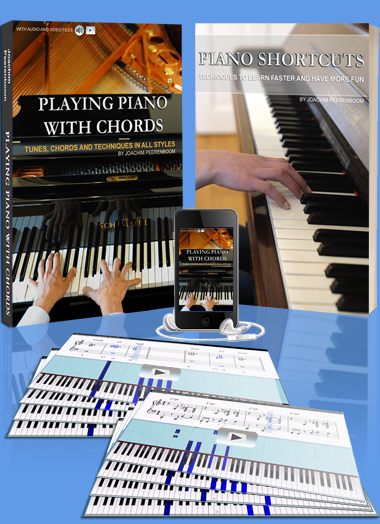 Check out the Playing Piano with Chords Bundle! Get your special offer to start playing in an instant.